Hi! 👋🏼 I'm a Senior (Web) Designer who ❤️ to conceptualize and build high-quality, human-friendly User Experiences and Interfaces. 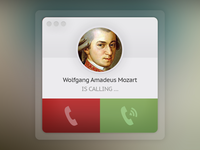 Skype Call Ui - Amadeus — I like BIG buttons!